Sure, wombats are cute furry creatures. But you know what’s even cuter than a regular wombat? A hungry, farting wombat. 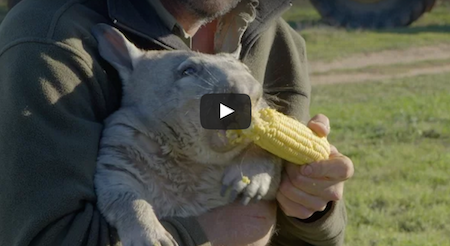 Meet Pete, a hairy nosed wombat who loves to chomp on his favorite snack – sweetcorn. But what makes Pete different than most animals like him? He likes to fart when he eats. And it’s pretty hilarious!